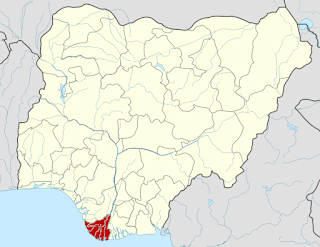 Barely three weeks after pirates killed 4 soldiers and one policeman at a military base in Nembe, sea pirates on Wednesday afternoon ambushed two speedboats and kidnapped three persons along the Ogbia-Brass waterways of Bayelsa East senatorial district. Police spokesperson, Asinim Butswat, confirmed the development but said he was yet to get details. 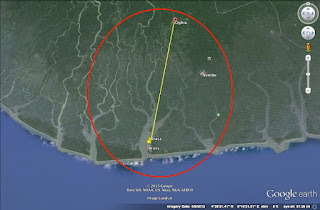 A security source said two Okpoama chiefs where abducted, and identified them as Blessing Wagio and Isaac Akono-Igolo. The victims’ boats were said to have left the Ogbia water front at about 2pm for Brass when they came under attack around Kiberibio area of the Ogbia-Brass waterway, an area notorious for sea pirates attacks. 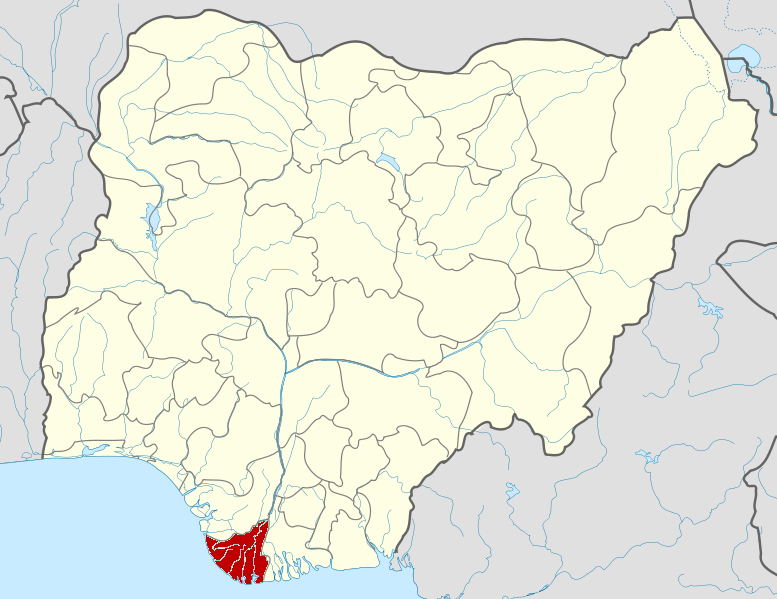 Area in red on the Nigeria map is the State of Bayelsa, Nigeria. 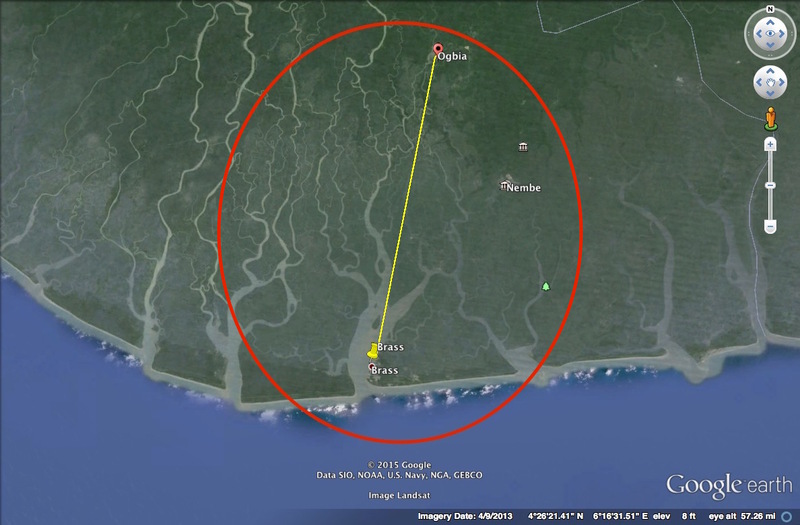 Red circle on GoogleEarth map is vicinity of attack, yellow line is linear representation of river route from Orgvia to Brass. 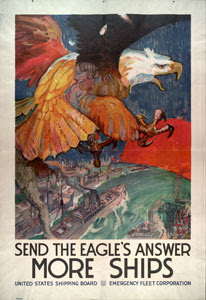 Click on maps to enlarge. 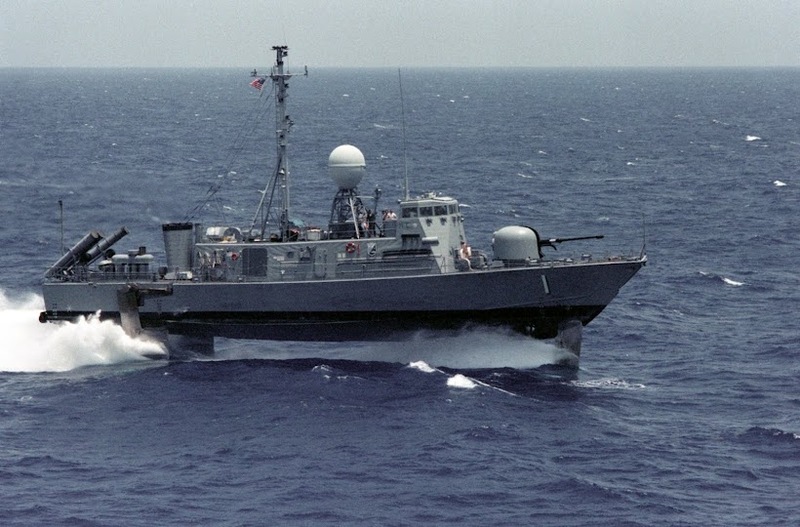 The attack is coming during an era when the Nigerian Navy is leading expanded watches of the ways to deal with the Bonny River, and these watches might have constrained the criminal pack to investigate working more remote away in the Gulf of Guinea.